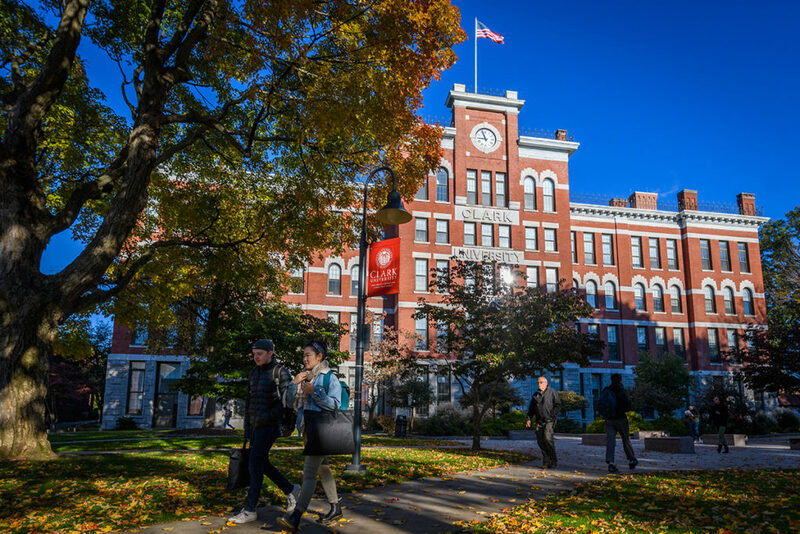 Clark University is included on a list of “50 Underrated Colleges Doing Great Things,” by College Consensus, a new college ranking website that blends publisher rankings and student reviews to identify colleges of note. Clark is the only school from Central Massachusetts to make the list, and is one of only three Massachusetts colleges included. “50 Underrated Colleges Doing Great Things” comprises colleges and universities with unique curricular designs, model or influential programs, and community engagement and service. Clark is described as “one of the most innovative colleges in America,” one that “was a pioneer from the beginning.” The text cites Clark’s proximity to Boston, its “large endowment,” “generous alumni support” and commitment to the Worcester community, and its emphasis on student engagement and numerous community partnerships. College Consensus also highlights Clark’s model of education, Liberal Education and Effective Practice (LEEP), which integrates the liberal arts with practice-based learning; the opportunities students have to participate in funded research, internships, and other programs; and the Accelerated Fifth-Year BA/Master’s program, which enables students to earn their master’s degree tuition-free. College Consensus looked to sources including The Wall Street Journal and Times Higher Ed rankings, U.S. News & World Report’s “Most Innovative Colleges,” the QS World University Rankings and Colleges That Change Lives, as well as thousands of online student reviews, to identify the “50 Underrated Colleges Doing Great Things.” Read more about their rankings methodology and sources on the web. Visit the web for more on Clark’s rankings and recognition.